North Dakota has experienced a boom in the oil and gas industry in recent years, and Dickinson, North Dakota, is akin to ground zero for this boom. As a company in this industry, we know that reliability, accessibility, and quality are necessary to keep operations smooth. You can trust Liberty Lift to provide reliable, accessible and quality products and services anytime and anywhere. We are a full service, domestic and international artificial lift company with a sales and service location conveniently located in Dickinson, North Dakota. Liberty Lift has everything you need, from beam pumping units to gas lift systems to hydraulic jet pumps to XL Long Stroke units. We can install, sell, lease, troubleshoot, fix, and/or maintain every product in our portfolio. It is our mission to provide the ideal solutions for all stages of your production lifecycle. We are located at 11126 30th G Street SW, Dickinson, ND. Contact us at 701-225-2157 to learn more about our products and services. Someone is always available, 24/7. The oil and gas industry is an intensive industry that works its equipment hard. Artificial Lift Equipment must be able to withstand this intensity while maintaining high performance. Innovative design and solid engineering are key to well-performing equipment. At Liberty Lift, that’s what we offer. Our products are designed with innovation and performance in mind. At Liberty Lift, our manufacturing specifications exceed API 11E standards, and all our equipment carries the API monogram, which reflects our high standard for manufacturing. You can anticipate maximum production when you use Liberty Lift equipment and services. Our services are designed to complement our equipment and to maintain performance and the life of the equipment. We also remain informed of the industry’s ever-changing environment and adapt and design accordingly. Today, to stay on top of this business, you have to be agile as much as you are consistent and strong. If you are thinking about making a purchase or leasing oilfield equipment in Dickinson, North Dakota, we are the supplier for you. Do you have problems with your flow rate? Are environmental conditions making it difficult for you to be productive? Are technical constraints wearing you down? If any of these problems, or other issues, are impacting your production operations, then turn to Liberty Lift for solutions. We make the whole production cycle run smoothly and efficiently, which means more productivity for you. At Liberty Lift, our artificial lift solutions are integrated for optimized well production. Our oilfield services are field-proven. We are in the market to supply products and services that deliver comprehensive artificial lift solutions to enhance production in any environment. We want you to be successful, which is a measure of our success. To that end, Liberty Lift integrates real-time monitoring with strategic inputs to identify problems and reveal practical, meaningful solutions. Our products and services are a testament to our process. XL Long Stroke Units, which are pumping units that offer optimal production at ideal production costs. Beam Pumping Units, which include high efficiency (HE) beam pumping units and enhanced geometry (EG) beam pumping units. Gas Lift Systems, which are systems for both tubing and wireline retrievable equipment to maximize production in a well’s lifecycle. Hydraulic Jet Pump Units, which are versatile jet pump solutions that incorporate a surface power fluid system, prime mover, surface pump and downhole jet pump. Liberty Lift is an energy equipment service company that offers solutions. We provide our full services and solutions to any and all companies involved in drilling, evaluation, and completion of oil and gas wells in the Dickinson, North Dakota region and beyond. As part of our full-service package, our services complement the equipment we supply. Our team of experienced service personnel can install any of the equipment we sell or lease, or any other oil and gas related equipment your business may have. Our team also repairs, maintains, troubleshoots, tests, and provides routine and on-call onsite field visits. We are ready for whatever service you may need or want to assure your operations are fully operational. Repairs – Whatever equipment it is you need to be repaired, we can most likely do it. 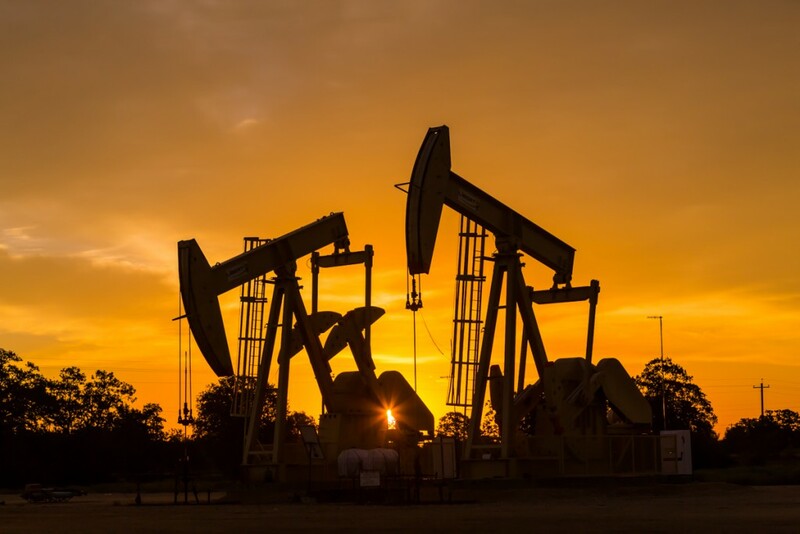 From gear repairs to structural components to structural bearings and to boring and sleeving crank arms, among other specific repairs, our team is highly skilled and well-trusted in the oil and gas industry. Field Services – One of the main services oil and gas companies need include onsite services, such as (1) preventive maintenance inspections; (2) pumping unit installation; (3) polished rod replacement; (4) changing of belts, sheaves, and prime movers; (5) optimization via stroke changes, unit balancing, and rod string adjustment; (6) bearing maintenance; (7) gas lift system setup and repair; and among other onsite service projects, hydraulic jet pump installation and servicing. Fabrication and Machining – If you need structural bearings, components, gears, or customized belt guards made, then you have found the oil and gas service company for you. At Liberty Lift, we custom-make the supplies you need. Testing – We provide testing upon request, especially testing specific to gas lift valve hydrotest and system setup. Inventory – We maintain an extensive inventory of pumping units and parts, among other related equipment. Available Equipment – We have readily available equipment to assist with your oil and gas operations, such as cranes, bucket trucks, and haul trucks. Manufacturing artificial lift equipment is something Liberty Lift has three decades experience doing. We are committed to the most advanced, innovative, efficient manufacturing processes (as much as we are committed to the quality, reliability, and ingenuity of the products themselves). Our engineers are dedicated and are motivated by the challenges inherent to this industry. Manufacturing artificial lift equipment involves a manufacturing process that is specific and fault-free. It also involves equipment designed by a team of experts that pursue designs that are innovative in accordance with the advanced and ever-changing nature of the industry, as well as with the functionality and performance of the product. At Liberty Lift, we manufacture our well-designed products with care because we know that a well-designed product provides optimal success in the field. Liberty Lifts beam pumping units are top of the line. We offer high efficiency (HE) and enhanced geometry (EG) beam pumping units. The design of these units is a result of 30 years of experience. Either pumping unit is for sale or for lease, and both units are designed with excellence in mind. HE units can be run either clockwise or counterclockwise, whichever direction you need. If you need beam pumping units, obtain a competitive advantage over industry peers and test out our beam pumping units today. State of the art gas lift systems, designs and solutions are 2nd to none on our list of priorities. We focus our design on trouble-free operations, that’s what gets you your low operating costs. Our patent pending HyRate System is designed to take your well from initial production of >5,000 bbls/day to depletion. Our gas lift installs are designed with the proper gas lift mandrels and gas lift valves, along with other features, that guarantee optimal operation and production. The mandrels we use meet API 19G1 standards with other unique characteristics. The valves we use are, among other specifications, tested for flow performance. We want to help you get an edge over your competition and the right start on your oil and gas operations in Dickinson, North Dakota. If you want to maximize production of your well’s lifecycle, contact Liberty Lift today. An extra-long stroke length of 306 or 366 inches that allows for more complete fillage for higher volumetric efficiency. For these and more reasons, if you are in the market to find a system that will produce results over the long-term, then you want an XL Long Stroke Unit. And you can lease or purchase it only at Liberty Lift. Liberty Lift is an industrial equipment supplier in Dickinson, North Dakota, and throughout the United States as well as internationally. We know this business, and supply only the best for your oil and gas operations. This industry requires rugged equipment to provide for short- and long-term projects. We offer manufacturing and lifting equipment. We also have in our inventory other equipment that we can readily supply or distribute to our local customers. As a full-service oil and gas supplier company, it is our goal to provide any and all industrial equipment you might anticipate needing. This matters in Dickinson, where the oil and gas boom will be around for decades to come. Your success is dependent on having the right equipment at the right time. For this reason, we also partner with other industry-leading companies to remain ahead of the curve and collaborate together to bring you the very best in artificial lift equipment. Our versatile hydraulic jet pump was the result of such a working partnership. We are a leading manufacturer and distributor of hydraulic jet pumps. Our versatile jet pumps are provided through the innovative teams at Liberty Lift and JJ Tech. These pumps are designed by incorporating several unique functions to solve the problems associated with deviated or horizontally-drilled wells at depths ranging from 1,000 to 18,000 feet, and well production to 6,000 bpd. We manufacture these hydraulic jet pumps, and you can either rent or purchase them. The benefits you will experience by using these pumps will extend to your company’s bottom line. Benefits include overall efficiency to maximize operations and profits. Other benefits include hydraulic jet lift systems flexibility and the ability to operate effectively multiple wells from a single manifold and handle solids without difficulty. If you are in the market for hydraulic jet pump units, then contact us to discuss all the benefits of our hydraulic jet pump units, their features and their technical specifications. If you operate oil wells in or around Dickinson, North Dakota, and are looking to rent or purchase top-of-the-line, innovative, proven equipment and services, then contact Liberty Lift today. We want to know your goals so we can make sure you are equipped with the right equipment and the right services at the most opportune time.